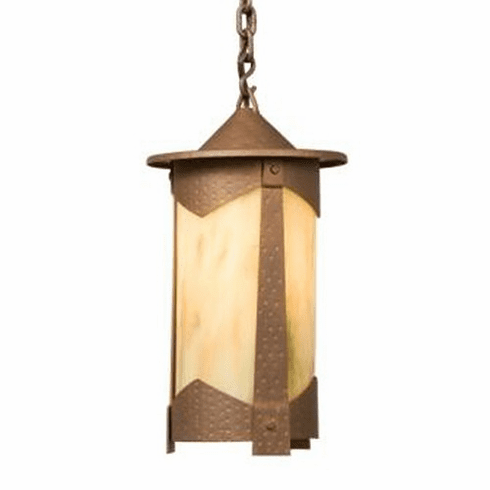 This Spanish Revival Pasadena - Vallejo Pendant is available in several lenses and finishes. The picture shows architectural bronze finish and bungalow green lense. The light is 15inches high, 8inches diameter, with a 4 foot chain. It uses 100 watt bulb.